Is it time for a label redesign at your brewery? Or are you contemplating a new exotic small batch run and need some craft beer label ideas? 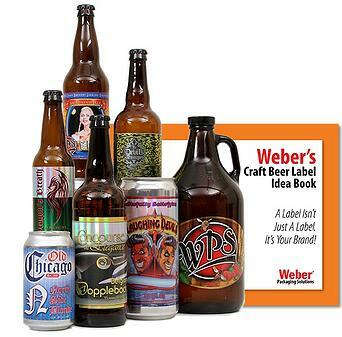 Weber has experience designing and printing labels for the craft beer industry and can help all brewers from start-ups to large mega corporations. Using the right materials and applying the labels correctly will make your brand stand out from the competition. Poorly printed craft beer labels, labels that don't stick when exposed to moisture, and labels that are applied crooked all make your product look bad. And with so many other craft brewers out there, you want to make a good impression with your audience of customers. Click the link below and get your copy of our Craft Beer Label Idea eBook now.